Welcome back to another Community Express Community Recap! 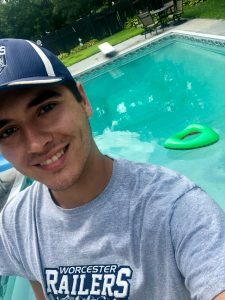 This week Paul Harris is on vacation hanging poolside and Community Express has been hijacked by that dude that does stuff on Tuesdays…It was another great week in the community, so let’s get you caught up. If you see us in the community, be sure to take a photo and tag @Trax_RailersHC on Twitter, Instagram, and Facebook! We’ll share our favorites. 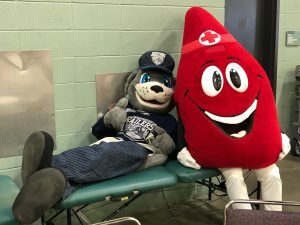 Last Thursday, the Railers sponsored the second annual American Red Cross of Massachusetts Battle of the Badges Blood Drive at the DCU Center..it was another great showdown between the Worcester Police Department (Official) and Worcester Fire Department…have a look in this week’s Tuesdays with Tom! The Police came out on top again for the second year in a row with a final vote of 135-121…that means the Railers will be rocking Police blue specialty jerseys on their Guns N’ Hoses game Nov. 3 at the DCU Center. 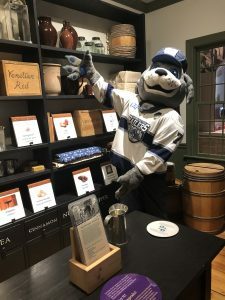 We visited the Worcester Historical Museum last week for Free Fun Friday and Trax learned a lot of Worcester history and made some new friends!